Dennis A. Mason II joined the firm in 2014 and concentrates his practice on representation of individuals injured by the negligence of others in automobile accidents, premises liability and insurance related matters, as well as employees injured at work. Mr. Mason has over 10 years experience litigating personal injury cases in all of Delaware’s Courts. For several years, he represented defendants and insurance companies in personal injury and property damage cases which provides unique insight and understanding of the strategies and practices used by insurance companies in the defense of these claims. Mr. Mason now uses this unique perspective to the advantage and benefit of his current clients in their cases. Mr. Mason is a native Delawarean who earned his college degree from the University of Delaware and his law degree from the Widener University School of Law. 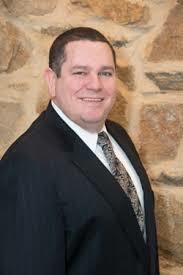 He is a member of the Delaware State Bar Association and Delaware Trial Lawyers Association. He also volunteers time to the Office of the Child Advocate, representing children in Delaware’s Family Court and is active in several community associations in New Castle and Sussex Counties.